JAILBREAK iOS 7.1.1/7.1.2 with PANGU 1.1, isn’t it a good news for the jailbreak community, well, the Chinese Pangu team of hackers has rolled out the new iOS 7.1.2 untethered jailbreak with the release of Pangu 1.1 update for Windows and Mac. The big news is that the Pangu 1.1 update adds support for English text which makes it easier to follow the entire jailbreak process. Besides, it removes the unwanted checkbox in the setup that inadvertently installed pirated software that could compromise system stability and performance. Pangu 1.1 also brings bug-fixes and performance optimisations over the earlier jailbreak tool and supports the following iOS devices: iPhone 4, iPhone 4s, iPhone 5, iPhone 5c, iPhone 5s, iPod touch 5th gen, iPad 2, iPad 3, iPad 4, iPad Air, iPad mini and iPad mini with Retina Display. 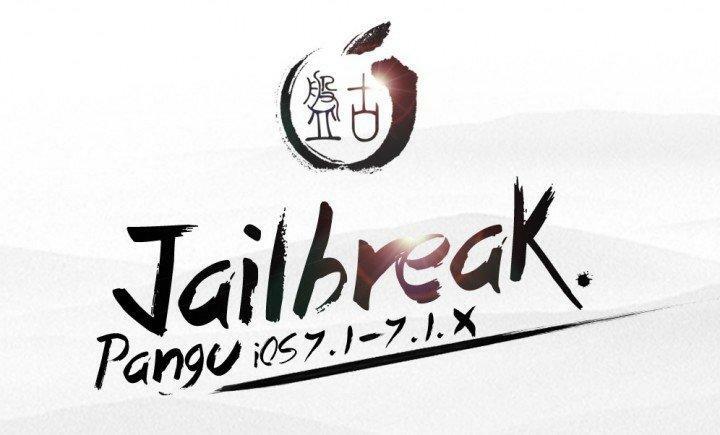 Interested users can follow the step-by-step guide below to jailbreak iOS 7.1.1/7.1.2 untethered using Pangu for Windows and Mac. Ensure your iOS device is listed in the jailbreak compatibility section before you proceed. Disable the passcode on your device to prevent issues with jailbreaking by navigating to Settings > General > Passcode Lock On > Turn Passcode Off. Back up important data on your device via iTunes. Ensure the latest version of iTunes (download here) is installed on your computer. Note: Jailbreaking a device may void it of its warranty. IBTimes UK advises users to proceed with caution and at their own risk. 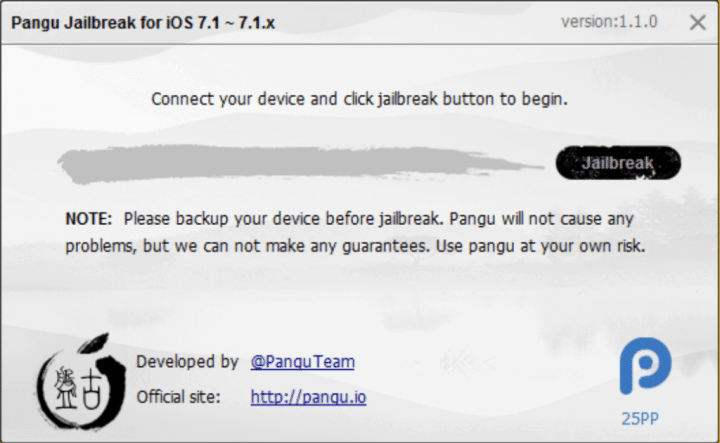 Step 1: Download Pangu 1.1 for Windows and Pangu 1.1 for Mac. Step 2: Connect your device running iOS 7.1.x (iOS 7.1 through iOS 7.1.2) to your computer via USB cable. Step 3: Windows users: Launch Pangu_v1.1.exe on your Windows computer. If you encounter a blue error message, just click more info and click Run Anyway (see video for details). This will launch the Pangu app. Mac users: Launch Pangu.dmg on your Mac and double-click the Pangu icon to run the app. Step 5: You will now be prompted to change the system date by Pangu. Just navigate to Settings > General > Date and Time and disable the Set Automatically toggle. Then set the date to 2 June 2014. Step 6: Let the jailbreak process begin after you have set the specified date. Step 7: Wait for the prompt wherein the Pangu setup asks you to open the app icon on the device’s Home screen. Now, tap the Pangu icon to launch Pangu app and then hit Continue button. Step 8: Let the jailbreak process continue and then you will get a prompt to unlock your device once it reboots. Step 9: Wait until the jailbreak completes and then the Cydia icon will appear on your device’s Home screen. You have now successfully jailbroken your iOS device running iOS 7.1.x on Windows/Mac. Previous articleiOS Freebies: Paid apps for free (FOR LIMITED TIME) Download them all! !